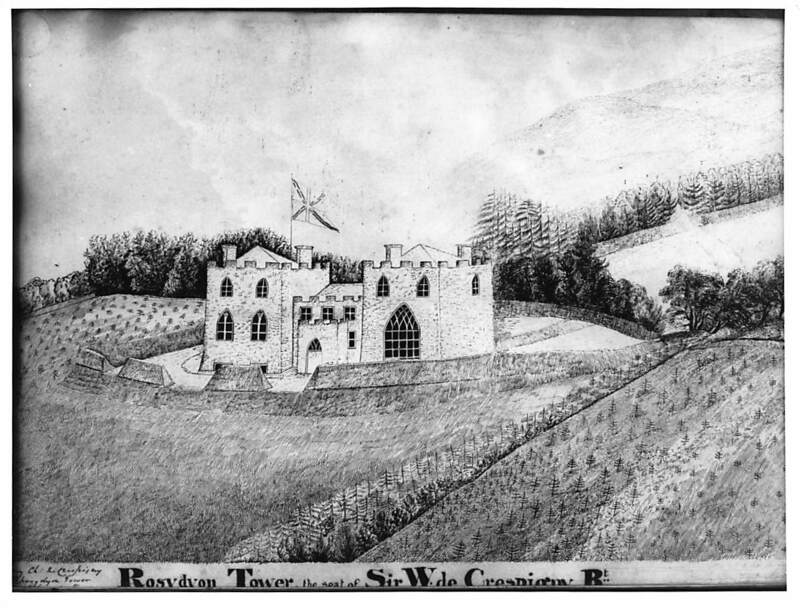 Among a collection of images relating to the Champion de Crespigny family, I came across an image of a drawing of Rosydyon Tower, the seat of Sir W. de Crespigny Bt. 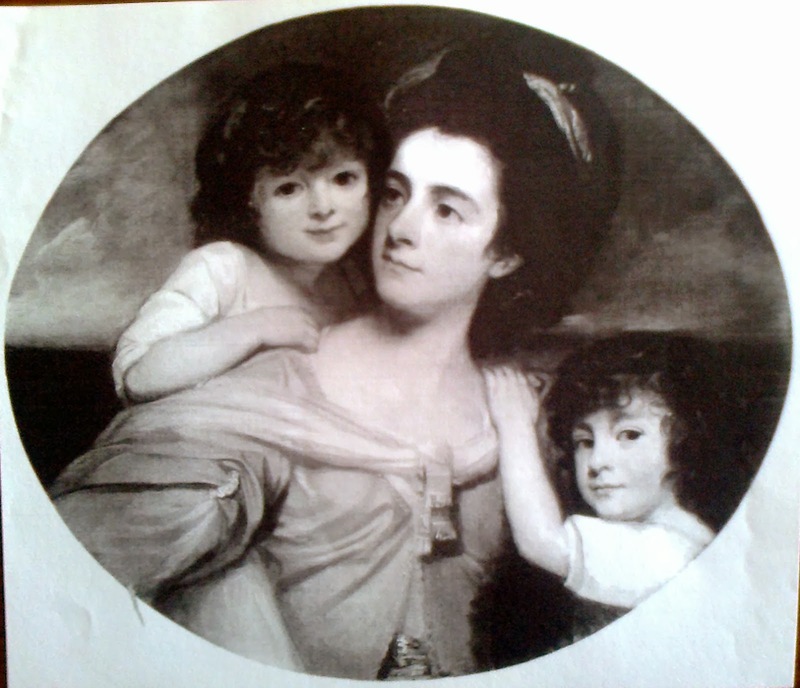 The drawing is said to have been done by Mary Catherine Champion de Crespigny (1810-1858), the youngest of Sir William and Lady Sarah de Crespigny’s ten children. 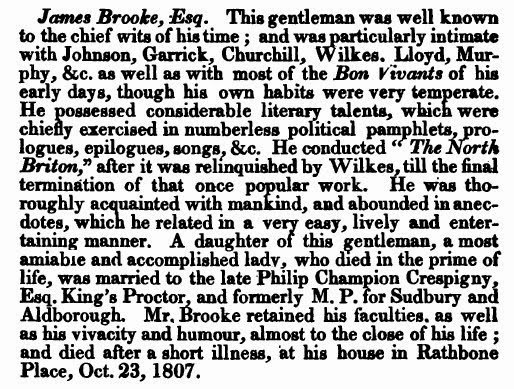 Mary married John Brigstocke (1791-1858). 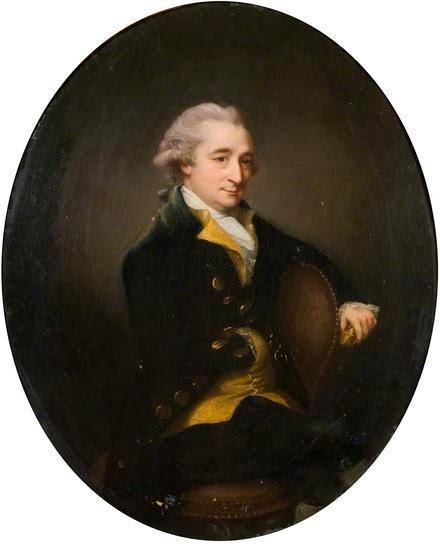 Sir William de Crespigny (1765-1829) was the second baronet, succeeding in 1818 to the baronetcy on the death of his father Sir Claude Champion de Crespigny (1734-1818). 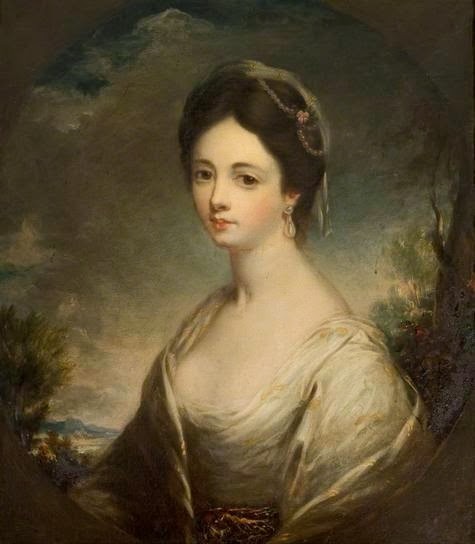 In 1786 William married the Right Honourable Lady Sarah Windsor (1763-1825), a daughter of the 4th Earl of Plymouth. 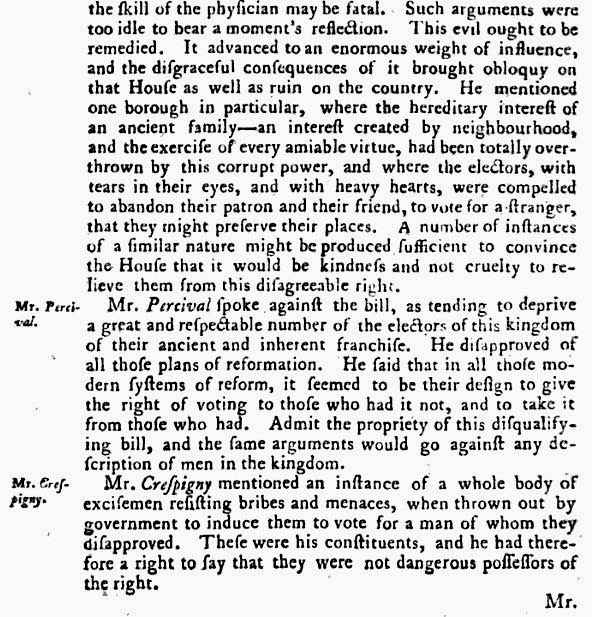 Sir William’s entry in Burke’s Peerage of 1830 mentions Rhosydyon Tower, Carmarthenshire in Wales, as one of Sir William’s three country seats. 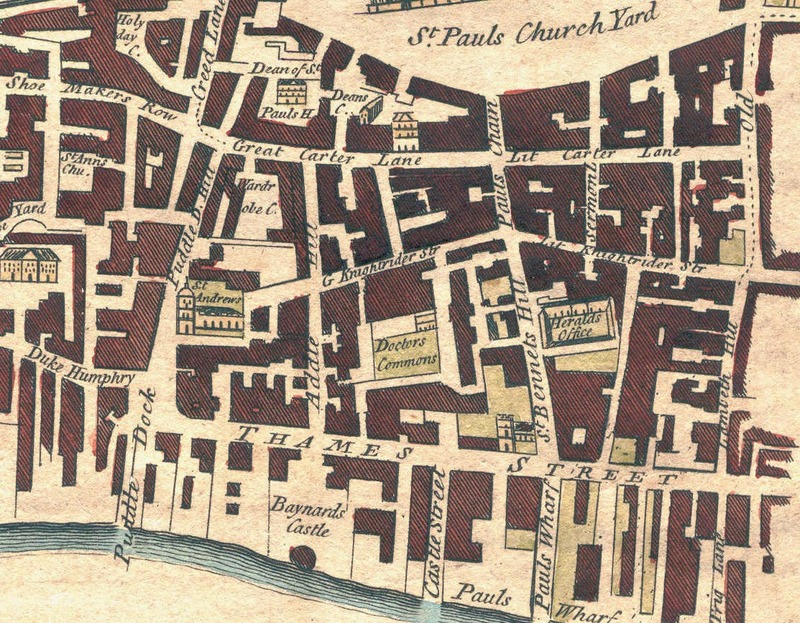 His town residence was Champion Lodge at Camberwell. Her husband built Rhosduon Tower in the parish c. 1820, a castellated toy fort, long demolished. 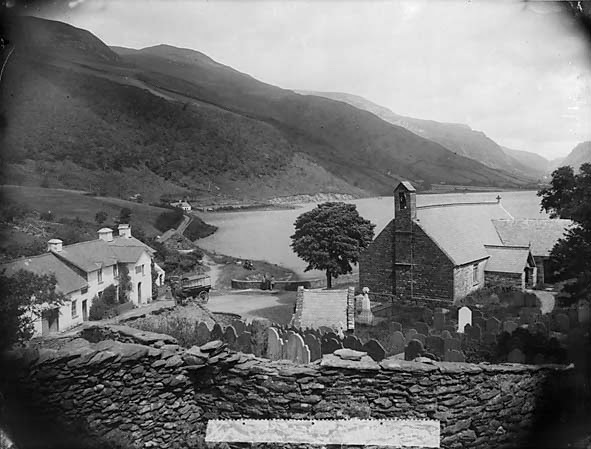 Rhosduon Tower was near the village of Pencarrag, in south-west Wales. 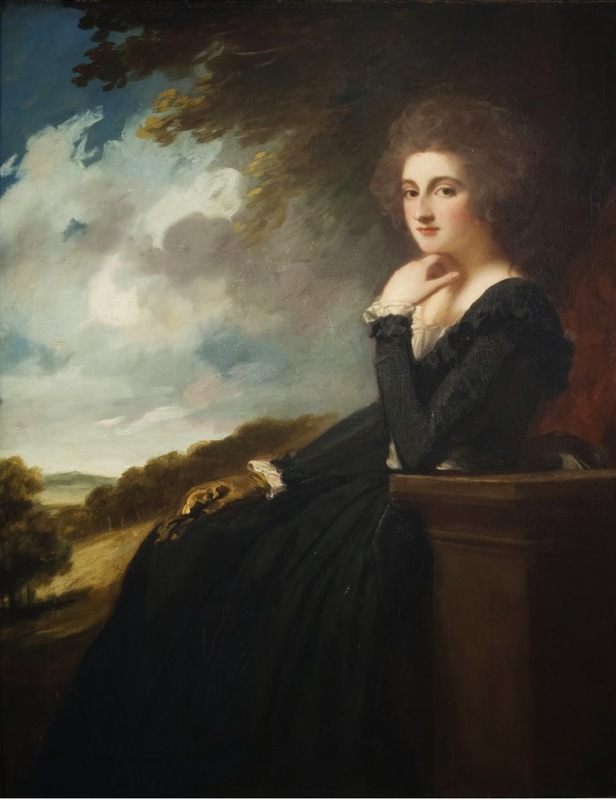 In 1825 Lady Sarah de Crespigny died at Rhosdyon Tower. “FASHIONABLE ARRIVALS.” Morning Post, 27 Sept. 1825. British Library Newspapers, tinyurl.galegroup.com/tinyurl/4bRUr9. Accessed 28 Mar. 2017. 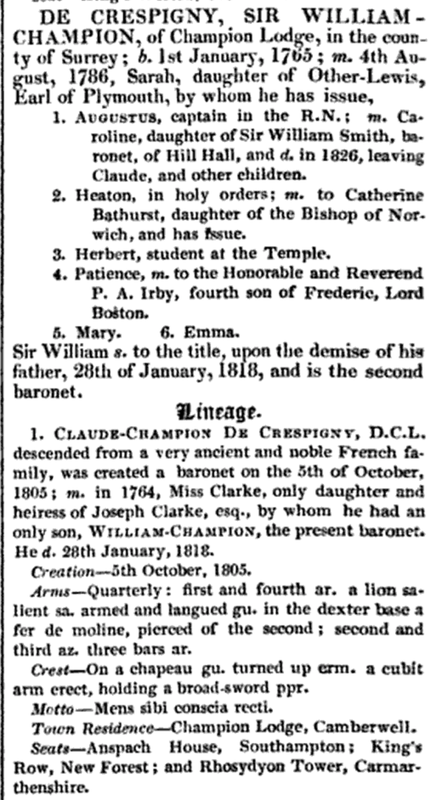 Sir William de Crespigny died on 28 December 1829 in London. 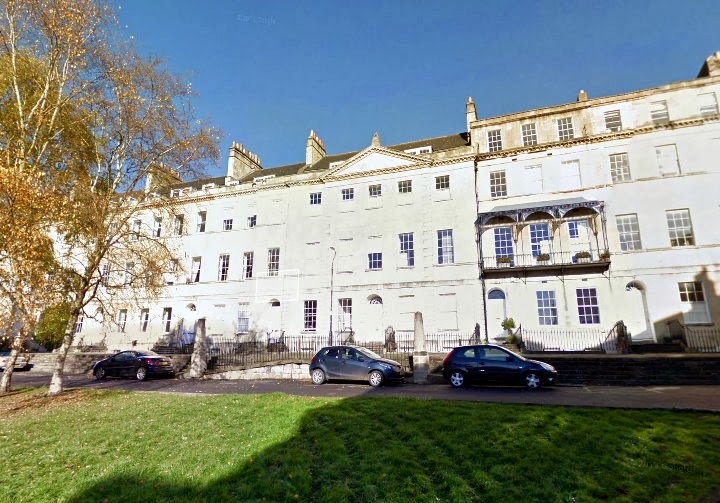 The estate was advertised for sale a few months later. 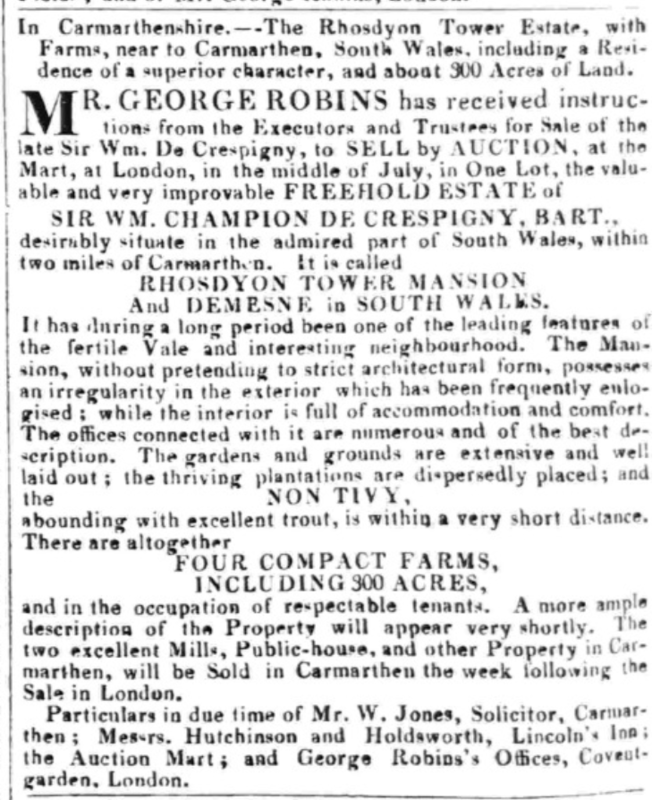 “Multiple Classified ads.” Morning Post, 22 May 1830, p. 4. British Library Newspapers, tinyurl.galegroup.com/tinyurl/4bRXy0. I have spelt the name of the tower in the various ways it appears in each of the sources. Carmarthenshire and CeredigionVolume 6 of Buildings of Wales by Thomas Lloyd, Julian Orbach, Robert Scourfield published by Yale University Press, 2006. page 363.